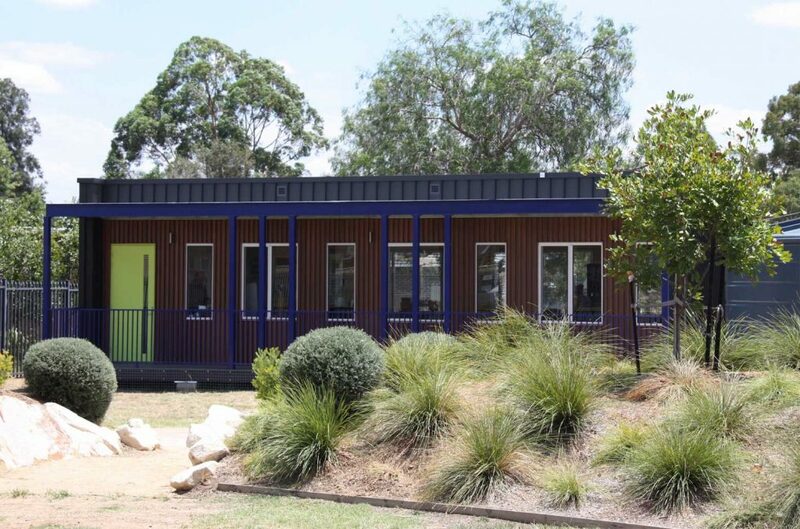 Two NSW schools are in a class of their own when it comes to renewable energy, thanks to their new self-powering classrooms that have the potential to take schools off Australia’s over-stressed energy grid. With financial assistance from the Australian Government via ARENA, the cutting-edge classrooms are being trialled at two schools in Sydney and Wollongong. Manufactured by Sydney-based Hivve, the portable, modular buildings are highly energy efficient. They also incorporate solar panels and smart technology including real-time energy metering, CO2 monitoring, data capture and communications. This allows schools to actively manage their own energy usage as well as indoor temperature and air quality, keeping the environment just right for learning. Research has shown that well-designed classrooms improve students’ attention span, creativity, mood and performance, so the Hivve classroom is designed to optimise natural light, acoustics and layout. 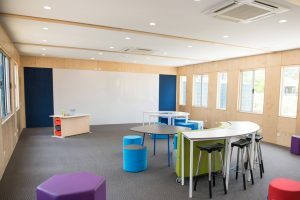 ARENA is providing $368,000 to fund the 12-month trial of the new classrooms at St Christopher’s Catholic Primary School in Holsworthy, in south-western Sydney, and at Dapto High School near Wollongong, after a prototype proved successful in a controlled environment. Regular school classrooms consume on average 3800 KWh a year. Hivve classrooms are designed to generate enough electricity to power themselves as well as enough surplus electricity for another two classrooms, an estimated net energy generation of 7600 KWh a year. However, St Christopher’s Headmaster Tony Boyd says early indications from their classroom show it could far exceed this benchmark. Boyd said the Hivve classroom has so far been a hit with students on several levels. Boyd said the advanced design of the building, with its emphasis on sustainable materials, thermal efficiency and ergonomics, was also inspiring students. Boyd said the data on CO₂ levels had been a real eye-opener for him personally. Unlike temperature and light levels, it can be difficult to know air quality is poor until it’s too late. Hivve’s monitoring equipment informs teachers in real time that air quality is deteriorating and that fresh air needs to be introduced, either by simply opening the windows or via the heating/cooling system. Boyd said Sydney Catholic Schools’ Facilities Unit, responsible for the infrastructure of dozens of schools across the city, was following the trial closely, and it was raising general awareness of renewable power generation. ARENA CEO Ivor Frischknecht said there is enormous potential for Australia’s public schools to not only educate on renewables, but also reduce their reliance on the grid. “This is a great way to get the next generation involved in renewables at an early age,” Mr Frischknecht said. A view to save millions: Our eye in the sky.